It was 1982, and the word “homeless” was just worming its way into the public consciousness. 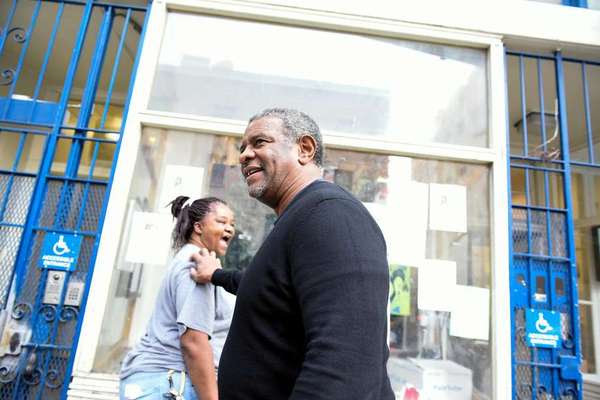 Joe Wilson was one of those who found themselves without a roof in the midst of a recession and sharp cuts in social-services spending, and after weeks on the sidewalks of San Francisco in heavy rains, he wound up at the Hospitality House shelter. It was the beginning of the end of his time on the streets — and eventually, it led to a new era for one of the first places to provide counseling and temporary beds for homeless people in San Francisco. Hospitality House was founded during the Summer of Love to shelter young people who flocked to San Francisco looking for peace and love but found hard times. In the 50 years since then, it’s become an indispensable piece of the city’s homeless services network, and now serves about 20,000 people a year. In 2017, the 62-year-old Wilson — already one of Hospitality House’s greatest success stories — became its executive director. The man who once took refuge under the nonprofit’s roof now oversees not only its 30-bed shelter but also arts, jobs and counseling programs. All told, he runs a staff of 55 and an annual budget of $4.5 million.